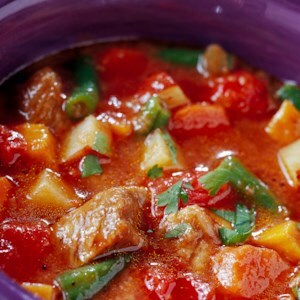 Find healthy, delicious canned tomato recipes, from the food and nutrition experts at EatingWell. 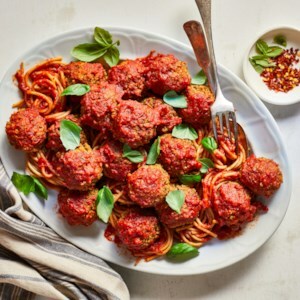 For these hearty and healthy vegan meatballs, we've swapped out the traditional ground beef and pork for protein-packed chickpeas and quinoa--without skimping on any of those Italian flavors that you look for in a classic meatball. Mushrooms up the umami factor, and a simple tomato sauce completes the picture. Serve over your favorite pasta. 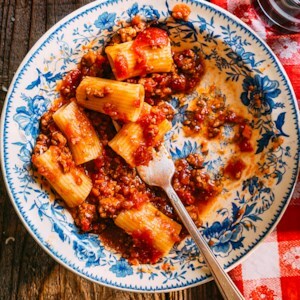 Annoyed by cooking lasagna noodles, only to end up fighting with them while they stick together and tear before you can layer them properly in the pan? 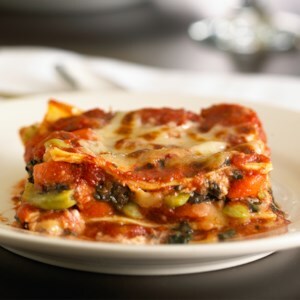 Try this no-boil method and you'll never boil lasagna noodles again. 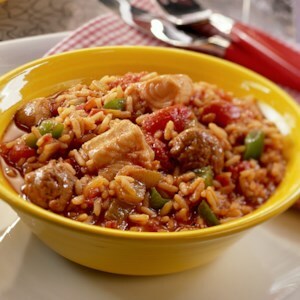 Don't drain the canned tomatoes--the extra moisture helps cook the noodles to perfection. 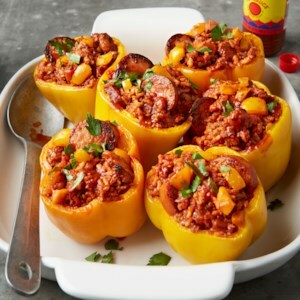 Low in carbs and rich in Vitamin C, bell peppers add flavor as well as volume to this slightly spicy dish. 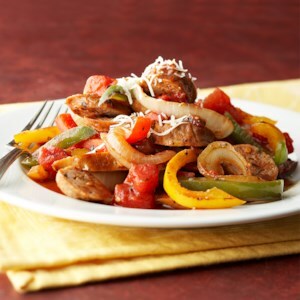 For more heat, use hot turkey Italian sausage links rather than mild. Make it a sandwich by serving it inside a toasted bulky roll. 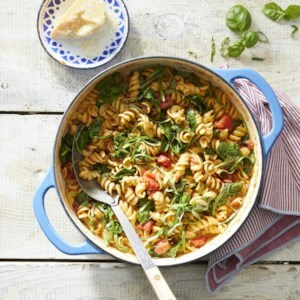 This one-pot pasta with tangy tomato-basil sauce is a simple, fast and easy weeknight dinner. 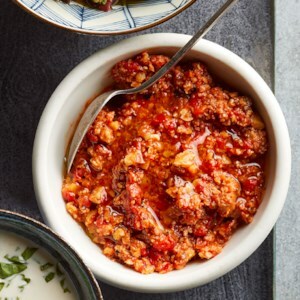 All of your ingredients go into one pot, and with a bit of stirring and about 25 minutes of cook time, you'll have a healthy dinner the whole family will enjoy. 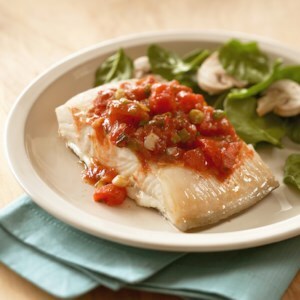 The classic Mexican sauce for fish typically contains lime juice, but this version substitutes capers for an unusual tang. 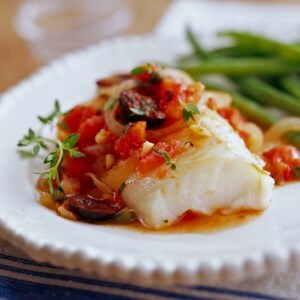 Substitute mahi mahi, grouper, or tuna fillets for the halibut, if you'd like. 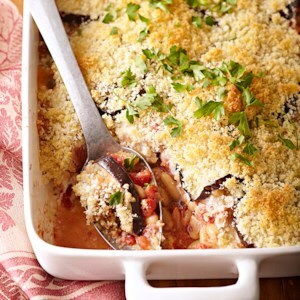 Moussaka is a Middle Eastern baked main dish, typically made by layering slices of eggplant with a seasoned ground beef or lamb mixture. 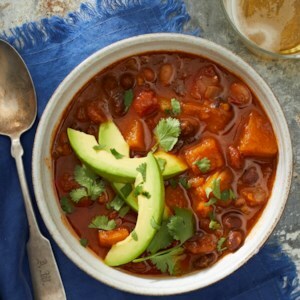 This protein-filled vegetarian version replaces the meat with white beans but will still delight any and all meat-eaters at your table. 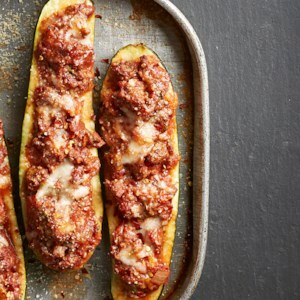 Nothing goes to waste in this twist on eggplant Parmesan, as the scooped-out zucchini flesh gets mixed into the meat sauce. Use long, straight zucchini for this dish, which are easier to hollow out for stuffing. Who says a meatless meal isn't filling? 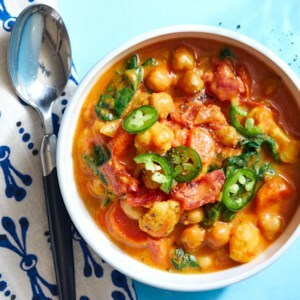 Packed with fiber-rich vegetables and chickpeas, this fragrant stew satisfies. 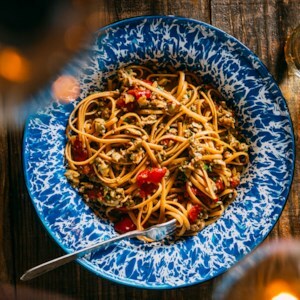 Italian for "linguine with clams," this seafood pasta dish includes tomatoes for a mashup between red and white clam sauces. 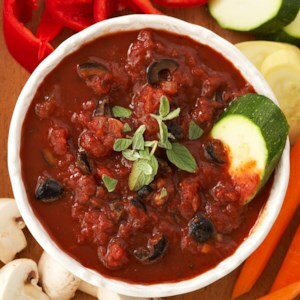 This Italian tomato sauce recipe simmers for a long time, allowing some of the liquid to evaporate, concentrating the flavor. 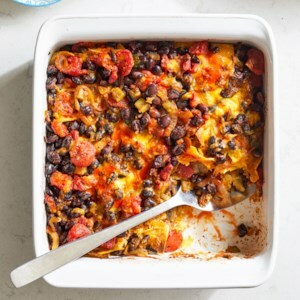 This easy recipe is perfect for meal prep--it makes a large batch, so serve some over pasta for dinner and freeze the rest for a quick meal in the future. This simple and delicious mussels recipe is restaurant-worthy. 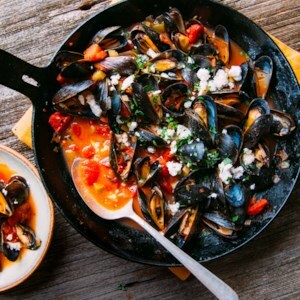 Just make sure you clean your mussels well before cooking: Give them a rinse under cold running water and use a brush to remove any barnacles or grit from the shell. Discard mussels with broken shells or those whose shells remain open after you tap them lightly. Pull off any fibrous "beard" that may be pinched between the shells. 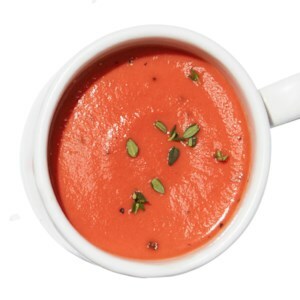 This 3-ingredient easy soup recipe is perfect for a satisfying and healthy afternoon snack or a quick lunch.